This farmer sign will decorate your kids room with great color and detail. Kids room sign is made of wood. Kids room sign is painted with a high quality white exterior paint, therefor it will hold up great ! The edges are shaded light blue. 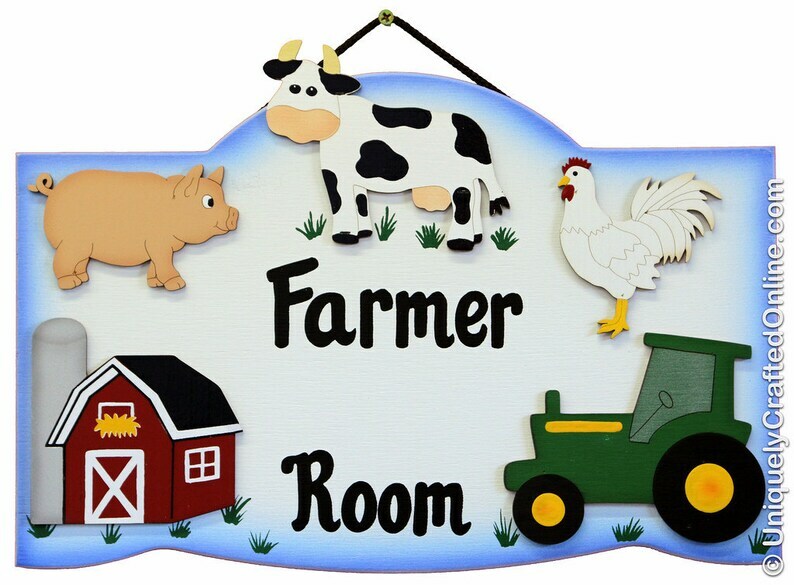 Cow, tractor, and barn are each separate pieces of wood that are painted then attached to this unique one of a kind kids room sign. Name can be personalized with black wooden letters. *Please fill in exactly what you would like to be personalized, in the notes to buyer section.